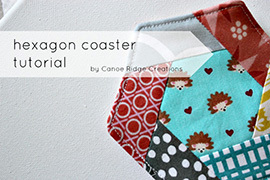 Today I have a fun & fast tutorial to share with you all -- the Hexagon Coaster Tutorial. 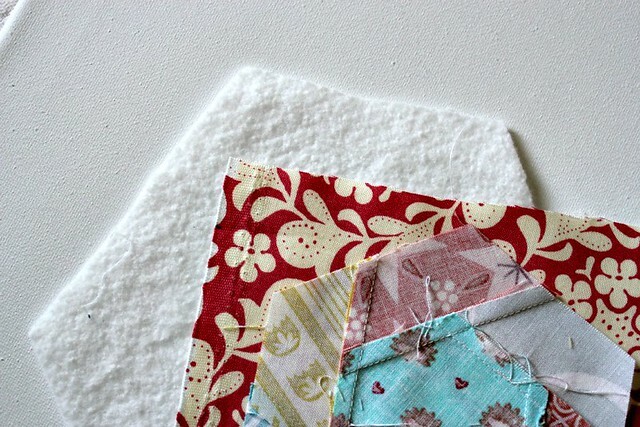 This DIY project is beginner friendly and a great scrap buster too. Let's get started! 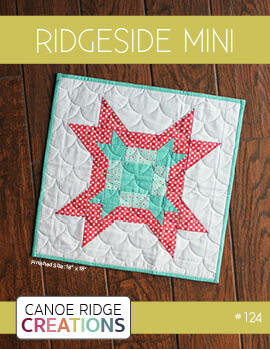 1. place one 1 1/2" x 3 1/2" rectangle on top of the 1 3/4" hexagon, right sides together (RST). pin as pictured above, leaving 1/2" (on the left side) unpinned. 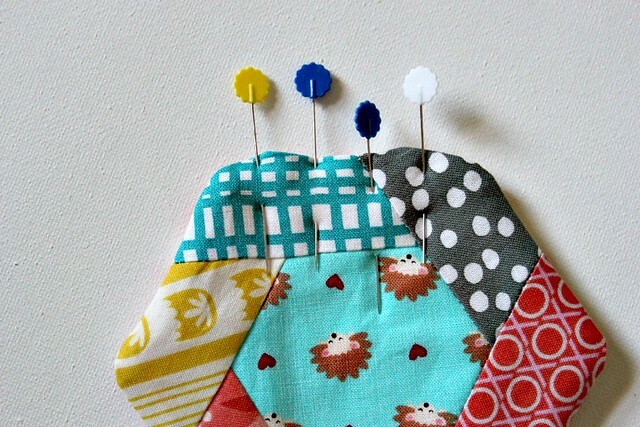 2. using a 1/4" seam allowance stitch between the pins. 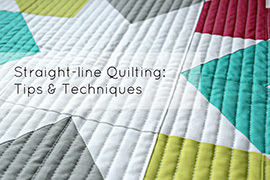 make sure to backstitch at the beginning and at the end. 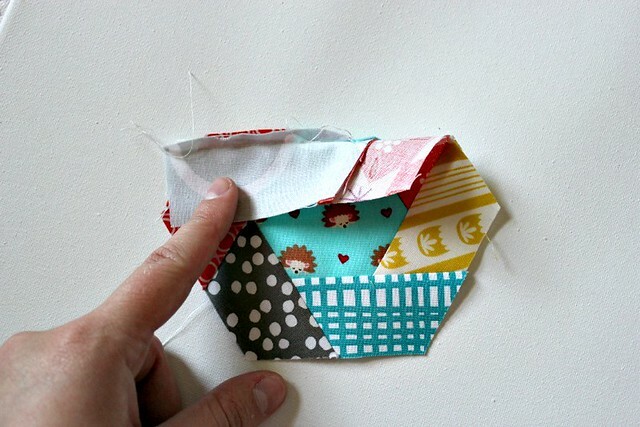 3. press the seam to the outside. 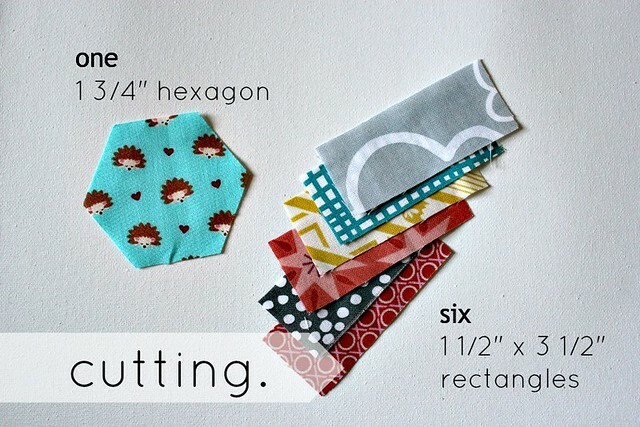 using the hexagon as a guide, trim the excess strip end -- see picture. 4. working clockwise, place the next 1 1/2" x 3 1/2" rectangle on top of the hexagon unit, RST. stitch using a 1/4" seam allowance and press seam toward the outside. trim the excess strip ends off. 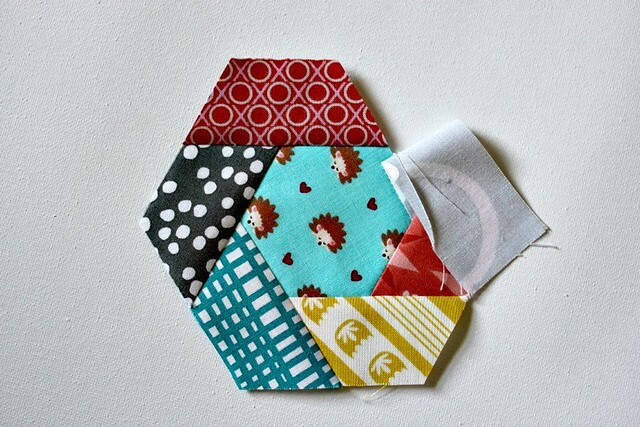 5. continue your way around the hexagon unit until you have one edge remaining. 6. place the last 1 1/2" x 3 1/3" rectangle on the remaining side, RST. making sure to fold the starting rectangle out of the way. stitch using a 1/4" seam allowance. 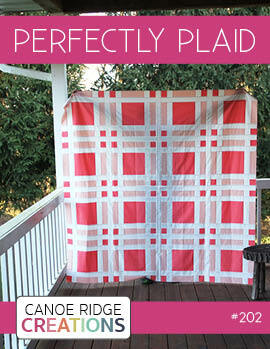 7. press seam outward and trim excess ends. 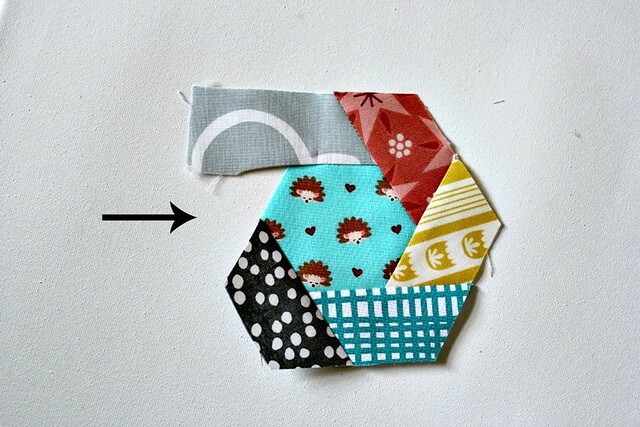 8. lay the un-sewn portion rectangle on top of the hexagon unit, RST. stitch using a 1/4", sewing the remainder of the strip. 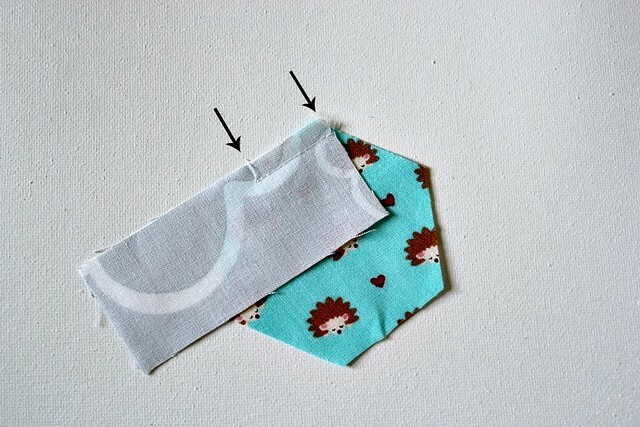 9. press seam outward and trim the excess strip end. 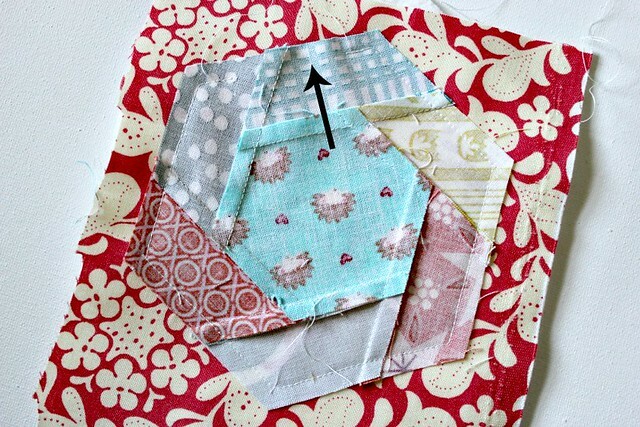 10. layer the 6" x 6" square of batting on top of the 6" x 6" backing fabric, on top of the hexagon unit, RST. 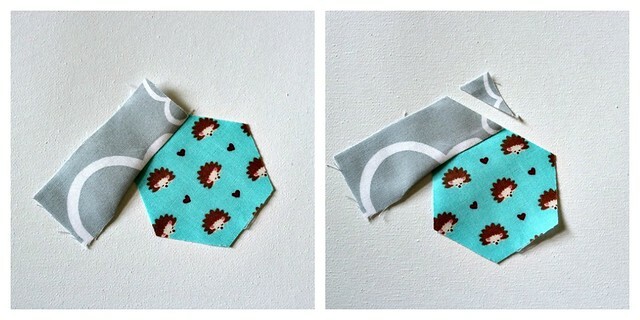 11. using a 1/4" seam allowance, stitch around 5 sides of the hexagon unit. 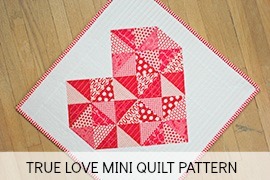 be sure to backstitch at the beginning and at the end of the seam. leaving the 6th side of the hexagon unit un-sewn (open). 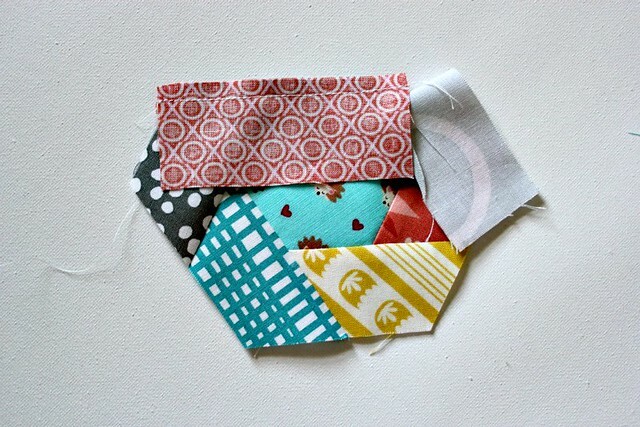 12. trim excess batting and backing fabric. 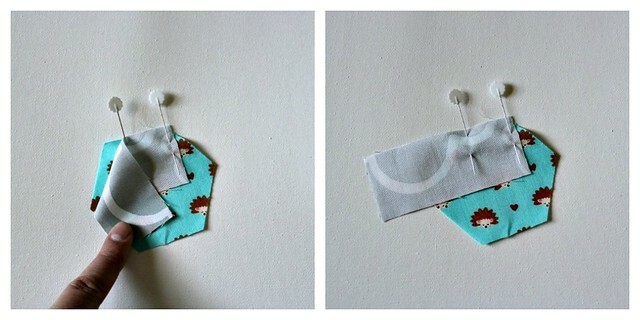 13. turn right side out, press, and pin the open edge. 14. top stitch 1/8" around the entire coaster. and done! if you use this tutorial, i'd love to see your coasters -- please share them in the CRC flickr group. 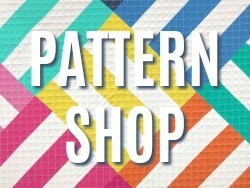 be sure to also check out the other great projects + tutorials shared during the Festival of Hexagons blog hop! 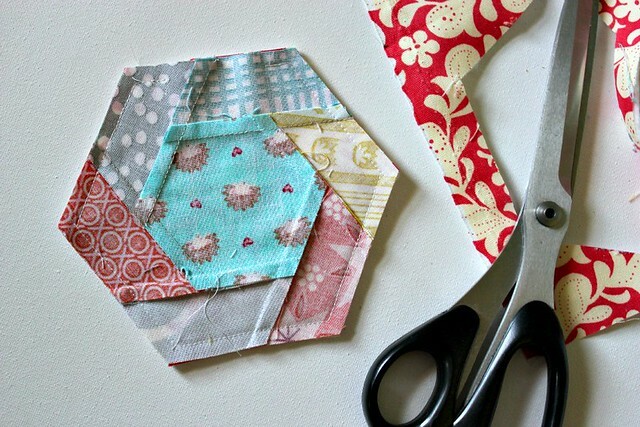 Very cute, I always wondered how you did that with hexies! 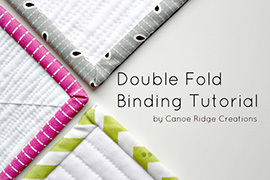 What a great tutorial and think these would make great gifts, thanks. Thanks, Megan. Nice tute. 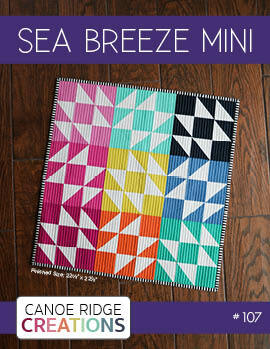 Hexie coaster is really cute. 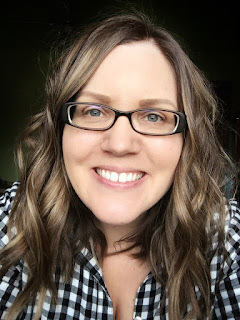 A super tutorial...I just have to give this a try! Thanks so much. Cuteness! I liked your tutorial so much, I pinned it! What a neat idea! Thanks for sharing. I love this coaster design so much I think I'm going to make some tonight, for a friend's birthday present! I think your measurement for the center hex is incorrect. Is it supposed to be 2 3/4 inches? I tried the 1 3/4 and it was WAY too small. Did 2 1/2 and it still seemed a little small, compared to your finished top piece. LOVE the idea!!! 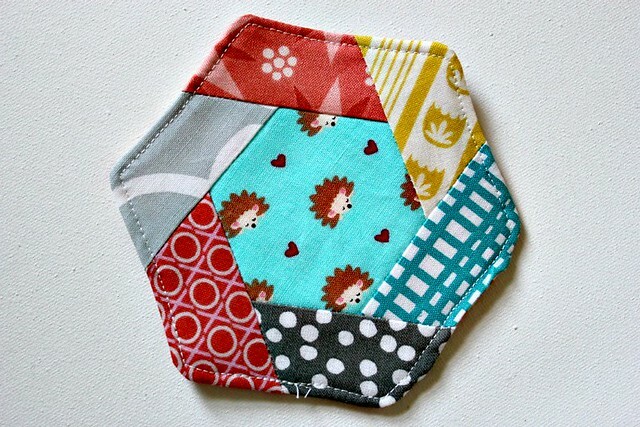 Obviously, I am not experienced with hexagons in quilting... Thanks for the info! Hi there!!! I love these coasters! 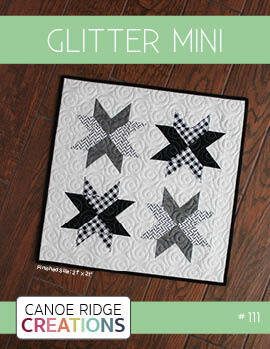 I so want to be a quilter, but I am not soooo good about the whole measuring exactly! I am so bad about that, anyway I really love your blog and your coasters are wonderful!!!! Thanks for sharing! 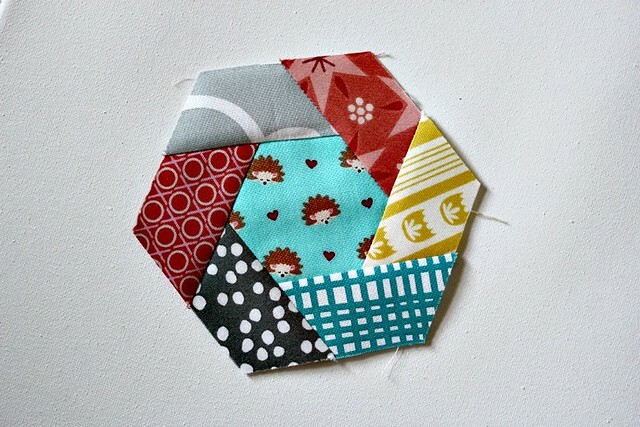 Can you please link up or let me know how to cut a hexagon shape? I've found tutorials for hex's based on the total size but none referencing the sides. Please help! Just made 2. So cute and fun. Thanks!